Located in the heart of San Francisco’s financial district, Stepes provides professional translation services to leading companies in the Bay Area. Stepes is an international translation and localization company that operates on four continents and in over 100 countries. Our San Francisco office services as Stepes North American Headquarters. Our Bay Area customers include leading technology companies, banks, and biotech firms in and around Silicon Valley. Stepes has developed unique technology solutions to scale and accelerate human translation services to meet our clients increasing “big translation” requirements. Stepes is the first in the industry to provide mobile based translation technology that allows our clients’ projects to be instantly pushed to our translators via mobile notifications. This then allows them to immediately translate anywhere and anytime, all from their smartphone as well as their desktop computers. 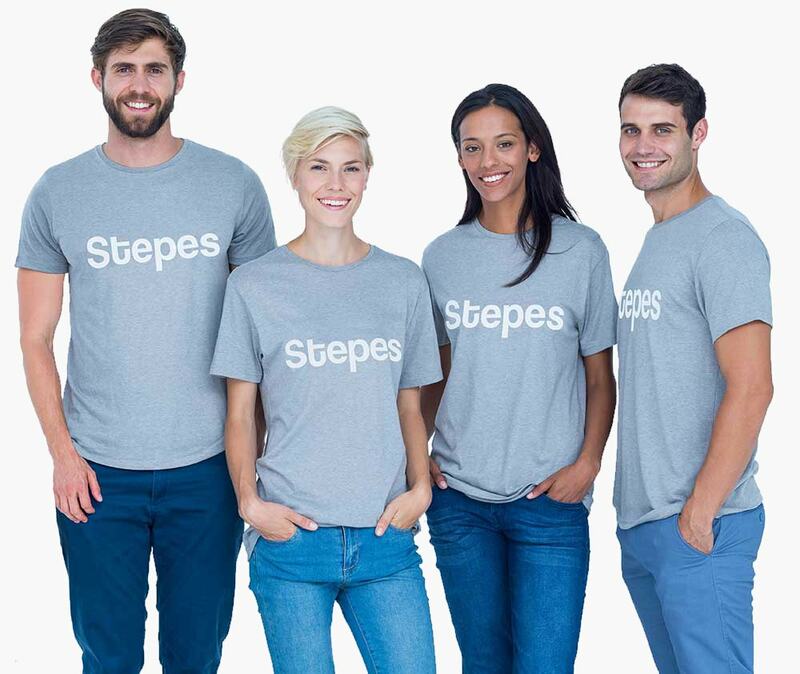 Stepes has also developed the world’s largest cloud-based multilingual terminology management system with millions of terms in 1,700 industry categories and across 100 languages. Our ability to tightly manage terminology translations significantly improves linguistic and technical accuracy while improving translation efficiency because it eliminates the need for costly rework and delays to market. GMScloud is a proxy website translation technology that allows websites to be easily and efficiently localized without the need for manually exporting and importing text extractions. It also allows future content updates to be automatically captured and translated on-demand, all without the hassle of the customer’s involvement. The San Francisco Bay Area has been one of the most dynamic markets for translation and localization. Silicon Valley’s traditional technology companies, such as CISCO, Apple, Intel, Oracle, and AMD among others, all played an important role in advancing the translation sector from a cottage industry to a leading global communications services field, enabling an ever-globalizing world. Today, a new generation of Internet powered companies in California’s technology hub such as Google, Facebook, Salesforce, Uber, Twitter, Netflix, and LinkedIn continue to redefine the translation landscape by inspiring disruptive innovations that empower the language industry to achieve unprecedented speed and scalability. It’s precisely in this kind of exciting backdrop that Stepes, also headquartered in San Francisco, finds itself leading the field with our ground-breaking mobile, cloud, and real-time translation technologies, accelerating and advancing translation solutions to meet the world’s “Big Translation” requirements. The 21st century digital economy demands agile and scalable translation solutions that are rendered on-demand and in all channels, such as on desktop, in call centers, on the Web, over mobile, and on-site. Stepes is the first translation company to employ the “future of work” model, delivering enterprise translation services in all channels and with unrivaled agility and scalability so our clients can beat their competitors and excel internationally. Don’t just take our word for it, try our all-in-one human translation solution today. Stepes is kicking off 2018 with style. Together with CSOFT, we are hosting the Global Leaders New Year Kickoff at San Franisco Asian Art Museum on January 23, 2018 at 5:30 PM. The event is co-hosted by the San Francisco-Shanghai Sister City Committee and San Mateo China Trade Association. Prior to the event, there will also be a workshop for AI powered translation solutions at 2:30 PM at the Union Square Conference Room in Omni Hotel, 500 California Street, San Francisco. The 2017 Palo Alto Festival of Arts kicked off in high gear during the last weekend of August. The annual festival along the city’s University Avenue is one of the biggest in the Bay Area, drawing artists and visitors from around the country and around the world. Once again, many international artists, as well as foreign art and craft lovers, gathered for the two-day exhibit. With its recently launched location based interpreter services, Stepes was able to provide live on-site translation services between artists and potential overseas patrons. Utilizing the Stepes App, artists were able to instantly connect with professional subject matter interpreters to eliminate communication barriers with fellow festival attendees. We provide free and instant online translation estimates.